Learn how to SCUBA Dive with Dive On It Scuba. (say that real fast 🙂 ) We offer nearly the entire range of PADI classes and can get you started on your fun journey beneath the sea. Beginning with a "Discover SCUBA" lesson you can get a brief taste of what it's like to breathe underwater in our pool using high quality Aqua Lung & Hollis Dive Gear! If you know you're ready to get your full certification, our "Open Water SCUBA Diver" classes run at least once a month (more during peak seasons). Our Discover SCUBA intro costs $60 per person, with $30 credited to your Open Water class if you sign up within 30 days. Are you ready to take the plunge and explore the other 70% of the Earth? Great! Stop in the shop or give us a call at 401-333-0002 to inquire about class schedules and availability. Once you're signed up we'll give you a set of materials (books, logbook, swag, etc) to get you going. You'll attend 2 - 3 classroom sessions at the shop then we'll have pool sessions to learn and practice the necessary skills. And of course, we make sure there is some playtime in each pool session! You'll also need some personal gear. While we'll supply the necessary "life support" gear for you to take the class such as Buoyancy Compensator, Regulators, SCUBA Cylinder & weights, you will need to supply some "personal" items. The Personal Items are SCUBA quality Mask, Snorkel, Fins and Boots (for the SCUBA Fins). We offer all of these items in our shop and can make sure you're properly sized and everything fits comfortably and properly (and looks good too! ). If you already have some or all of these items, Great! However, please keep in mind that non-SCUBA masks may leak or be uncomfortable at depth (many snorkeling masks are fine at the surface but don't hold up so well at 30+ feet), and we do require SCUBA pocket fins that utilize a bootie or boot. Want to get started right away? Begin the classroom session with PADI e-Learning! e-Learning will give you a head-start on the class and let you out of having to goto one to two of our in-shop classroom sessions. e-Learning is an additional cost that is not required to participate in the Open Water SCUBA Class. 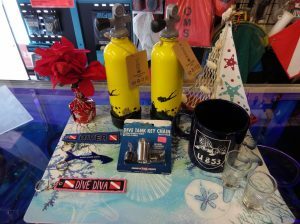 Buy your "Personal Dive Gear" items from us along with a class and get a free Aqua Lung Snorkel! That's right, if you buy your new mask, fins & booties from us we'll let you choose an Aqua Lung snorkel for free! You can pick either a SideDraft ($35 value) or an Impulse 3 ($50 value and the easiest breathing snorkel in the industry). We have a few options for our Open Water SCUBA Classes. Must attend class sessions on specific assigned dates. Fees apply for changes/missed classes or dives. Fees may apply for additional class/pool/dive time if desired. 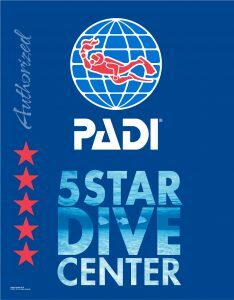 5% discount on Core Diving Gear purchased for 30 days after completing course. May attend any appropriate, scheduled class, pool or dive. Ideal for those who have often-changing or complicated work/life schedules. Additional fees only apply to additional class/pool/dive time if desired. Will schedule to your needs. Best for those which special scheduling requirements or want exclusive attention. Rate is for single student. Contact the shop for special Private Group pricing. Includes up to 3 class/pool sessions at your schedule. Includes 4 Open Water dives over 2 days at your schedule. 10% discount on "Full Kit" Purchase prior to course start or before 1st Open Water Dives. ~ = Custom Options Available, call or stop in for details. Required for all Students and not included in class pricing. Other shop fees are not included and are completely separate from ours. See our Calendar for class schedules. We may not have all classes listed so if you don't see one here, call the shop and ask. We also tend not to schedule more then 2 months out due to weather. Also please note the calendar only shows the current month of activities at a time. To see another month use the navigation arrows in the calendar to move around. Our New VIP Valet Service will begin in March of 2018. For a fixed fee of $125 per student we will handle transporting your gear to the pool & dive sites as well as cleaning it afterwards. Great for those with a busy schedule or who may wish to not deal with moving the heavy & wet dive gear around. Gear cleaning normally ranges $25 - $45 each time depending on number of items. So in addition to having us take care of the 'dirty work', we'll also transport the heavy stuff. We do require however that you maintain control of your own personal property. So we will generally not transport or clean masks, snorkels, fins and boots. However if you have purchased a 'Full Kit' from us for the class we'll keep everything together for you and clean all items as part of this service. The Final Big Test - Open Water Dives! We do our Open Water Dives in Jamestown, RI at Fort Wetheril State Park. When you enter the park, follow the signs saying 'SCUBA Area' to the left of the entrance. Park in the lower parking lot next to the boat ramp. There are restrooms available for your use. Please bring water & snacks with you as you'll definitely want them after diving. E-Learning is optional at Dive On It for most classes. However if you'd like to skip the classroom portion of your Open Water class free free to sign up by clicking the image below. Please note there is an additional charge for this which is payable directly to PADI. 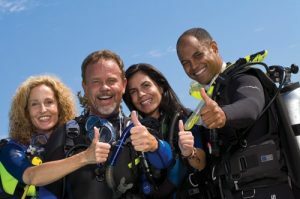 To insure proper credit of work done in E-Learning please make sure to select Dive On It SCUBA in Cumberland, RI as your dive shop when ordering the class.